Beautiful 3 bedroom, 1 bath home in quiet Newmarket neighborhood. 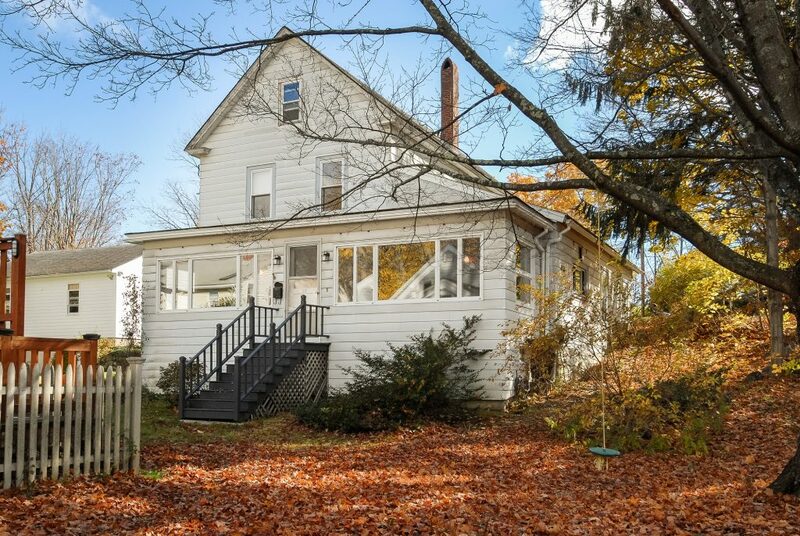 This charming home has a spacious layout with a bright living area with nice hardwood floors. Large, upgraded eat-in kitchen with hardwood floors and great cabinet space. Great first floor bedroom, with two additional bedrooms on second level. Nice Mudroom with laundry. Gorgeous 3 season front porch lined with wood is perfect for relaxing after a long day, and has potential to be year round. This home offers many incredible original features such as a great tin ceiling, and lovely original woodwork. Detached garage and nice yard. Home conveniently located 1 block from downtown! Hurry- This home has so much to offer, don’t let it slip away.